This announcement is a repost from the AR&R team. Grantley Smith is a Senior Engineer at the University of New South Wales Water Research Laboratory. He has over 20 years’ experience in hydrological processes as they relate to flow forecasting floodplain hydraulics, and floodplain management. 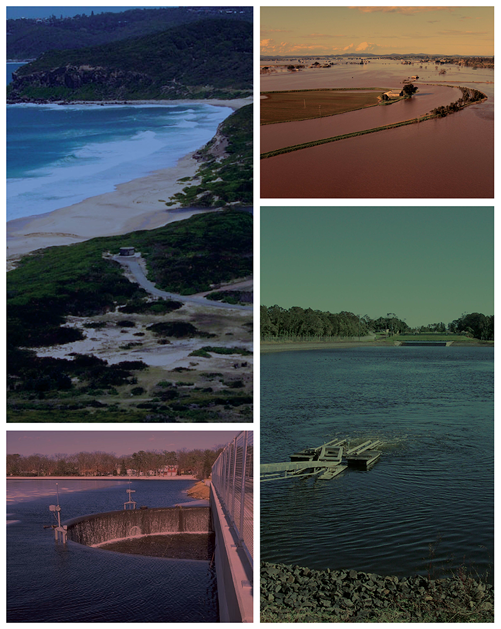 Prior to joining the WRL in 2009, Grantley was NSW State Manager for DHI Water and Environment where he helped pioneer the use of 2D hydrodynamic models for floodplain inundation. He is currently Chair of the Water Panel for the Sydney Division of Engineers Australia. The presentation will provide an overview of recent research undertaken as part of Project 15 of the Australian Rainfall and Runoff Revision and funded by the Federal Department of Climate Change and Energy Efficiency and WRL. The research project investigated the application of 2D models in urban areas, with a particular focus on the representation of buildings and other floodplain flow obstacles in numerical models. This presentation reviews the early work, collates and discusses subsequent experimental testing, empirical expressions and safety guidelines derived from these studies. The entire data-set of relevant experimental results is re-analysed and tolerable flow conditions related to human and vehicle safety and safe working conditions are presented. DATE & TIME: Monday 23 August 2010, 12:30pm start (Lunch provided from 12.00 noon) finishes 5:30pm. VENUE: Engineers Australia Auditorium Ground Floor, 8 Thomas Street, Chatswood, NSW, 2067. Timetable and registration details can be found in the attached PDF. Please note payments can only be processed online.